Trinity Wellness Center offers a variety of services at our Highland Village location, click on a service below to learn more. At Trinity Wellness Center we are dedicated to relieve patients of their pain and dysfunction, determine the source of the problem and teach patients how to control the pain and keep it from recurring. It is our goal to support as many people on their quest for health and educate them as they may in turn, educate others. Our office is designed to cater to the needs of all family members. At Trinity Wellness Center we have a deep devotion to serving children of all ages. Our passion for helping children and expectant mothers is an outgrowth of our witness to the miracles and wonders of chiropractic care. Chiropractic adjustments restore normal function and allow the body to achieve its optimal potential physically, mentally and socially. Chiropractic treatment is tailored to the specific needs of each patient whether it is a newborn or someone in their golden years. Treatment type and frequency are determined by each patient’s condition and progress. Our doctors’ style of practice is a blend of many techniques including Diversified, Thompson, Flexion/ Distraction and Activator. Pamper yourself with a relaxing massage. Our office incorporates all types of massage as an integrated part of our patient’s health and Wellness. Massage therapy and chiropractic are an extremely effective combination in restoring health functions. Dr. Martz utilizes a device called the Computron to perform electrodermal screenings. In the screening procedure acupuncture points on the meridians are tested for changes in minute electrical potential or resistance. The device utilizes a brass probe touching the skin (no needles). Based upon the measurable response, it can determine whether a meridian is in an inflammatory or degenerative state. Once the weakened points have been evaluated the doctor then determines what is stressing that point or point’s possibly unresolved bacterial infection, viral infections, parasites, heavy metal overload, food sensitivities and chemical toxins and/ or digestive problems. After determining the stressors involved, the doctor will determine what the body needs to reduce the stress at the weakened point. This could include the use of homeopathic remedies, Bach Flowers, Herbal remedies, vitamins/ minerals, amino acids, dietary modifications, and therapeutic measures including chiropractic or massage. The doctors perform a BIA before weight management to be sure the patient is gaining functional, lean body mass. and losing unwanted body fat. The BIA also gives us indicators of body hydration levels and overall cell integrity, BMR calorie requirements and a phase angle general score. It is a valuable tool monitoring progress. Spinal Decompression is used to treat cervical (neck) and lumbar (low back) conditions, such as disc herniations, sciatica, radiating arm pain, degenerative disc disease, arthritis, facet syndrome, and more. This is a gentle, non-invasive, usually painless technique. There is a very high success rate reported in the literature, and we have had great personal success with our patients. Spinal Decompression is indicated for many patients who have been prescribed back surgery, but are looking for a less invasive option to try first. Many patients avoid having back surgery by having spinal decompression done on a regular basis. Acupuncture is a traditional form of Chinese Medicine which originated more than 5,000 years ago. It is the oldest system of medicine known to contemporary man. Acupuncture consists of stimulation of specific points on the body usually by the insertion of very fine, solid needles. When special needles are inserted into these points, they help correct and re-balance the flow of energy and consequently relieve pain and/or restore health. The acupuncture points may also be stimulated by heat, cold, pressure, electricity, ultra-sound and even lasers to achieve therapeutic results. Stimulation of these points produces certain physiological reactions in the body such as changes in heart rate, blood pressure , brain activity, blood chemistry, endocrine functions, intestinal activity and immunological reactions. Acupuncture alleviates pain and can increase immune response by balancing the flow of vital life energy through the body. At the present time, acupuncture is used extensively throughout China to treat a wide variety medical problems and is an important part of the Chinese system of preventive medicine, along with the proper nutrition and exercise. Will Gin is a 5th generation practitioner of Oriental Medicine. He has a graduate degree in Oriental Medicine. 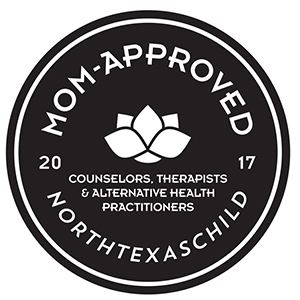 He is licensed in the State of Texas to practice acupuncture and herbology and is nationally certified as a Diplomate of Oriental Medicine from the National Certification Commission for Acupuncture and Oriental Medicine (NCCAOM). Mr. Gin is experienced in the treatment methods of acupuncture, moxibustion, ear seeds, cupping, gua sha, herbs, nutrition therapy, and qi gong.